The defining features of Parkinson’s disease are a variable combination of slowness of movement, muscle rigidity and resting tremor. Sometimes the onset of Parkinson’s disease is characterised by vague, non specific symptoms such as fatigue or localised muscle pain making early diagnosis very difficult. People should be aware that other complications can also develop with this disease. Other early symptoms of Parkinson’s disease can include mild depression, restlessness or a softer voice. No two people will experience the disease in exactly the same way. The nature, severity and impact of symptoms can vary markedly. Motor symptoms are those that affect movement of the body. These are the most obvious symptoms of Parkinson disease. The main motor symptoms of PD are tremor, slowness of movement (Bradykinesia), Stiffness (Rigidity), and poor balance (Postural Instability). These symptoms are usually mild in the early stages of the disease. Symptoms typically start on one side of the body and spread to the other side over a few years. As symptoms worsen, a person may have difficulty walking, talking, and performing other normal daily tasks. While symptoms typically progress slowly, this varies from one person to another. It is important to discuss an bothersome or worsening symptoms with a healthcare provider so that the optimal type of treatment can be given. 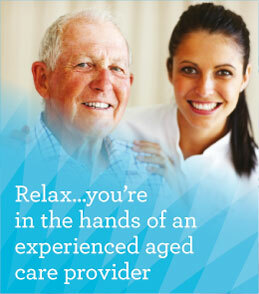 The symptoms of Parkinson’s disease can be managed effectively for a significant period of time. Tremors (shaking) caused by Parkinson disease are most obvious when the person is at rest. The tremor of earl PD is intermittent and may not be noticeable to others, some patients report a sensation of internal shakiness in the limbs or body that cannot be seen. When the tremor becomes noticeable, it usually occurs in one hand, often described as “pill-rolling”. The tremor generally spreads to the other side of the body over a period of a few years. Anxiety, excitement, and stress can worsen the tremor. Other body parts may be affected by the tremor, including the legs, lips, jaw, or tongue. However, the tremor of PD usually does not affect the head. The minority of people with Parkinson disease will notice a tremor at some point in the disease, though some do not. The side of the body that is first affected by the tremor also tends to be more severely affected throughout the course of the disease. Bradykinesia is a generalized slowness of movement. It eventually affects everyone with Parkinson disease, and may resulting feelings incoordination, weakness, or tiredness. In the arms, bradykinesia can cause difficulty with tasks such as buttoning clothes, tying shoelaces, double clicking a computer mouse, typing or lifting coins from a pocket or purse. Bradykinesia may cause a person to drag the legs when walking, taking shorter, shuffling steps, or have a feeling of unsteadiness. A person may also have difficulty standing up from a chair or getting out of a car. As the disease progresses, the person may suddenly “freeze up” or take much quicker and shorter steps while walking (called festination). 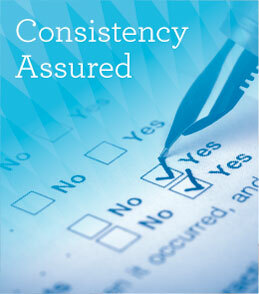 Rigidity causes stiffened movement of the arms, legs or body. It usually begins on the same side of the body as other early symptoms, such as tremor and bradykinesia. As the disease progresses, both sides of the body are affected. Normally, there are automatic reflexes in the brain that help us to remain balanced when we stand or walk. In people with Parkinson disease, these reflexes fail, causing a tendency to fall or to feel off balance. Loss of balance and falling, known as postural instability, usually do not occur until later in the course of PD. As these reflexes stop working, the person will have more and more trouble with walking, to the point where some may need assistance or need a wheelchair to get around. If postural instability develops early in the course of the disease, this suggest a Parkinsonian syndrome other than Parkinson’s disease, such a progressive suprenuclear palsy or multiple system atrophy. Rheumatoid arthritis is an autoimmune disease that causes pain and inflammation of the joints. Other parts of the body can also be affected. Inflammation causes the joints to become painful and swollen, and movement may be restricted. Stiffness in the joints is common, especially in the morning. 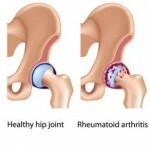 The inflammation caused by rheumatoid arthritis can result in damage to the joints. – Swelling, pain and heat in the joints. The causes of rheumatoid arthritis are not yet fully understood. 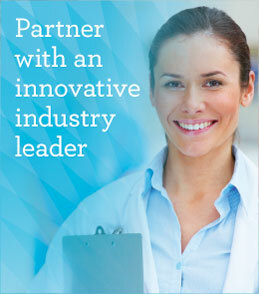 We do know that rheumatoid arthritis is an autoimmune disease. The normal role of the body’s immune system is to fight off infections. However, when a person has an autoimmune disease, the immune system starts attacking the body’s healthy tissues. In the case of rheumatoid arthritis, the immune system targets the lining of the joints, causing inflammation and joint damage. The characteristic swelling happens when the joint produces too much lubricating Synovial fluid in response to the inflammation. Some people may be more at risk of developing rheumatoid arthritis due to heredity factors. Exactly what triggers the body’s immune system to attack the joints is unknown. To properly manage rheumatoid arthritis, it is helpful to understand the nature of the disease. Self-management courses can help people with rheumatoid arthritis and other chronic (ongoing) conditions to build their skills and confidence to live with the condition. Medication – A rheumatologist may prescribe a number of different medications depending on your symptoms and the severity of your condition. Non-steroidal anti-inflammatory drugs are commonly prescribed to reduce pain and inflammation. Exercise – Some physical activity will help you maintain muscle strength and joint flexibility, build up stamina and assist you in managing pain. Appropriate activities include exercising in warm water and strength training. You may need to seek advice from a physiotherapist or exercise physiologist before you begin an exercise program. 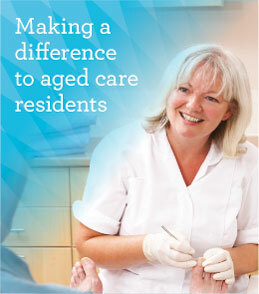 Physiotherapy – A physiotherapist can provide advice on managing pain and on physical activity. Complementary therapies – Such as a massage or acupuncture may be helpful. Consult your doctor or rheumatologist before commencing any treatment. Fish oil supplements may also be helpful. Fish oils contain a certain type of fat called omega-3. Joint surgery – May be necessary in some cases. A bunion (also referred as a Hallux Valgus or Hallux Abducto Valgus) is often described as a bump on the side of the big toe. But a bunion is much more then that. The visible bump actually reflects changes in the bony framework of the front part of the foot. The big toe leans toward the second toe, rather than pointing straight ahead. 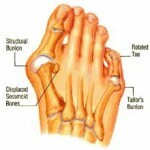 This throws the bones out of alignment, producing the bunions “Bump”. Bunions are most often caused by an inherited fault mechanical structure of the foot. It is not the bunion itself that is inherited, but certain foot types that make a person prone to developing a bunion. Although wearing shoes that crowed the toes wont actually causes bunions, it sometimes make the deformity get progressively worse. Symptoms may therefor appear. Symptoms occur most often when wearing shoes that crowd the toes, such as shoes with a tight toe box or high heels. This may explain why women are more likely to have symptoms then men. In addition, spending long periods of time on your feet can aggravate the symptoms of bunions. Bunions are readily apparent. The prominence is visible at the base of the big toe or the side of the foot. However, to fully evaluate the foot and ankle surgeon may take x-rays to determine the degree of the deformity and assess the changes that have occurred. Nonsurgical treatment usually is used to decrease pressure on the big tope and relieve pain. Wearing roomy shoes that have wide and deep toe boxes (the area that surrounds the toes), low or flat heels and good arch supports. Avoid tight, narrow, or high-heeled shoes that put pressure on the big toe joint. 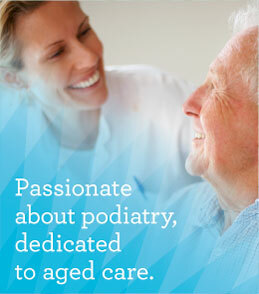 Using bunion pads, arch supports, or custom-made supports (orthotics). 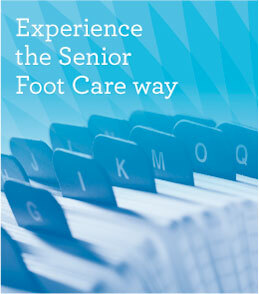 They can help redistribute your weight while you are walking and take pressure of your big toe. Ask your doctor to help you choose the right kind of pads. Taking non-prescription medicine to relieve pain and reduce swelling. Examples include acetaminophen (such as Tylenol) and no steroidal anti-inflammatory drugs (NSAIDs), such as ibuprofen or aspirin. Talk to your doctor about which pain reliever is best for you. Using ice to relieve pain and reduce swelling, Apply ice to the joint for 10 to 20 minutes at a time. Put a thin cloth between the ice and your skin. Elevate your foot so that your toe is higher than your heart. Peripheral Vascular Disease is the reduced circulation of blood to a body part other then the brain or heart. It is caused by a narrowed or blocked blood vessel. The main cause is atherosclerosis, which is the build-up of fatty deposits that narrow a blood vessel, usually and artery. The narrowed blood vessel reduces the circulation of blood to the associated body part. Peripheral vascular disease mainly affects blood vessels of the legs and kidneys and, less commonly, the arms. 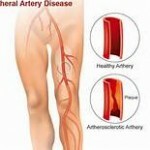 Peripheral vascular disease is also know as peripheral artery disease, peripheral artery occlusive disease or peripheral atherosclerosis. A person with peripheral vascular disease is up to six times more likely to have a heart attack for stroke. Body tissues rely on a steady supply of blood to deliver oxygen and nutrients. A narrowed or blocked blood vessel deprives tissues of blood. Gangrene is the death and decay of tissue. There is no cure. The only treatment is surgical amputation of the affected body part. In most cases the cause is atherosclerosis, the build up of fatty deposits within the blood vessel that reduces blood flow to the area. Commonly this occurs in the body where a blood vessel kinks or subdivides. – Diabetes – high blood sugar damages and weakens blood vessels, causing them to narrow. – Obstruction – a blood clot(thrombus) may lodge within the blood vessel. – Infection – can cause scarring and narrowing of the blood vessels. Syphilis or salmonellosis, for example, can lead to peripheral vascular disease. – Arteritis – inflammation of arteries. Some autoimmune diseases can cause arteritis. – Blood vessel defects – blood vessels may be unusually narrow at birth. The cause is unknown. – Blood vessel spasm – condition such as Raynaud’s disease may cause narrowing of blood vessels in response to certain factors, including cold temperature or stress. Medications: To help treat atherosclerosis, such as statins to lower LDL cholesterol and antihypertensive drugs to lower blood pressure. Drugs to treat blood clots: Treatment may include various medications (including anticoagulants and anti-platelet drugs) to prevent blood clots from developing and medications (including thrombolytic) that dissolve existing blood clots. Angioplasty: This procedure, usually performed under sedation and local anaesthetic, involves threading a thin tube (catheter) into the narrowed blood vessel through a small incision, usually in the leg. Once the catheter reaches the narrowed or blocked site, the small balloon on its tip is inflated. This widens the blood vessel and improves blood flow. Angioplasty is usually considered as a temporary measure. Surgical insertion of a stent: A stent is a metal sleeve that is implanted inside the narrowed blood vessel during an angioplasty procedure to prop it open. Stents may be impregnated with medications that help prevent scar tissue from narrowing the treated area of blood vessel. Atherectomy: This operation involves cutting away the fatty obstructions with a small scalpel like instrument.